Putting a race on successfully requires months of preparation and planning, endless sleepless nights and a lot of dedication – much like training for a race itself! Considering that over the last decade running has become insanely popular, race directors face fierce competition and many challenges during the complicated preparation process. Race days are never 100% predictable – that is, unfortunately, true. However, it doesn’t mean that race directors can’t prepare themselves to face some of the most common (and less extreme) challenges, which are predictable, and therefore solvable. Today, we’re going to discuss some of the top race director challenges, as well as provide some helpful tips on how to address them! According to the 2016 Race Director Survey, 60% of race directors believe securing sponsors is their most significant event challenge. Another survey by The Edge Newsletter indicated that 78.9% race directors and event organizers feel like getting sponsor support is the top challenge in putting events together. Slightly different demographics, slightly different numbers, but the same down math: getting sponsor support is hard, period. Why is that? The main issue is that the competition in the running events industry is so high that sponsors will only accept offers that are guaranteed to return their investment and bring significant leads on top of that. A good solution to stand out from the crowd is to offer unique sponsorship opportunities. For example, have you heard of BibBoards? These fantastic safety pin replacements help secure bib numbers on athletic attire whilst also providing a great virgin real estate for sponsor logos and messages. BibBoards feature a patent pending two-piece construction which holds each corner of a bib onto a shirt or other garment. The front piece of each bib clip features a flat surface which can be fully customised. This means that the sponsor logo can be displayed up to four times per athlete and seen by other runners, spectators, and – if the event has sufficient media coverage – on TV and in press releases as well! And given that BibBoards are also reusable, meaning that runners are likely to take these fun and convenient safety pin replacements along to their next event, this offer is truly irresistible for potential sponsors! The 2016 Race Director Survey revealed that entries and registration fees are the lead driver of revenue for most races, which is twice as much a management fees and more than three times as much as sponsorships. This means that attracting enough participants is one of the most important challenges faced by race directors in the process of preparation. Picking a unique niche. This means figuring out exactly what kind of runners are expected to be seen at the race, and targeting them a much as possible! Will it be a fun, low-key Colour Run, a tough ultramarathon, or something entirely different? Pick a theme and stick with it. Remember that time when at Nike Women’s Marathon finishers got Tiffany necklaces at the finish line? Obviously, that event was well-tailored for women. You get the idea! Speaking of attractive participant packs, try to offer something unique that is also useful for the future. 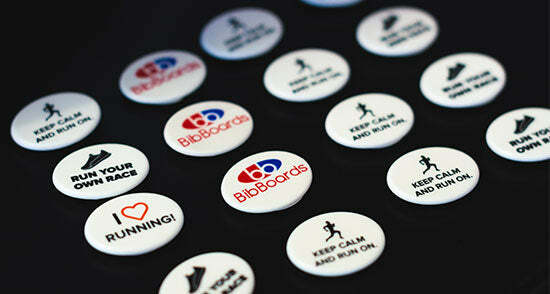 For instance, BibBoards which we’ve mentioned above make great souvenirs and will serve athletes for many events to come! Don’t underestimate the power of social media. The 2016 Race Director Survey suggests that 77% of race directors view social media as an effective marketing channel – and they are absolutely right! It’s 2017, and if you are not using social to drive your online race registration, you’re definitely not doing it right. But don’t overdo it either (unless you have a huge marketing team who can handle it all). Pick 2-3 platforms you’re confident with and stick with them! Pro tip: posting is not quite enough, and connecting with the followers is a must. Like, share and comment away – and the number of registrations will go up quickly. This challenge stems from the growing popularity of racing events – with so many to choose from, it’s important to convince the runners to register for yours! Organising free classes and workshops on running techniques. People love free stuff – so why not offer something unique and fun that both the event and the potential participants will benefit from? Get the information out there early – including the concept, the categories, the prizes and the criteria. People are far more likely to participate in an event that is very transparent (and therefore likely well-organised) from start to finish! Offer great participant packs – and don’t just stop at T-shirts and water bottles, everyone has seen those. Put something practical and unique in your packs – for example, reusable bib clips such as BibBoards – and leave the competitors far behind. We hope you enjoyed this guide to the top 3 race director challenges and how to address them! Follow the tips above, and your next event will run smoothly.